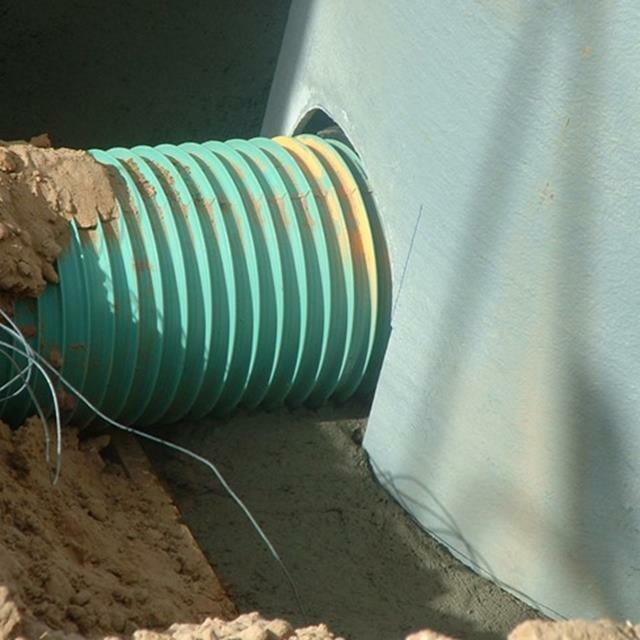 Open-bottom fiberglass manholes are lightweight, corrosion resistant, and typically the most economical fiberglass manhole design for small collection systems. Their construction consists of a riser section, a reducer cone, and a manway opening. 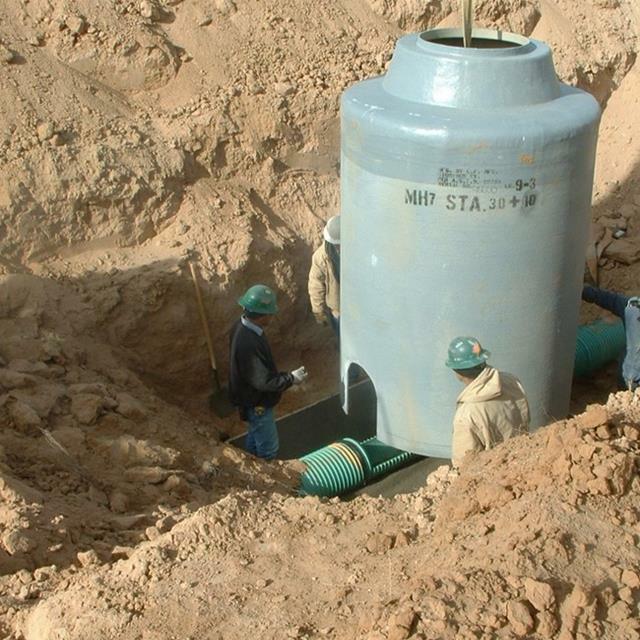 However, open-bottom manholes arrive on the jobsite with an open-ended bottom. 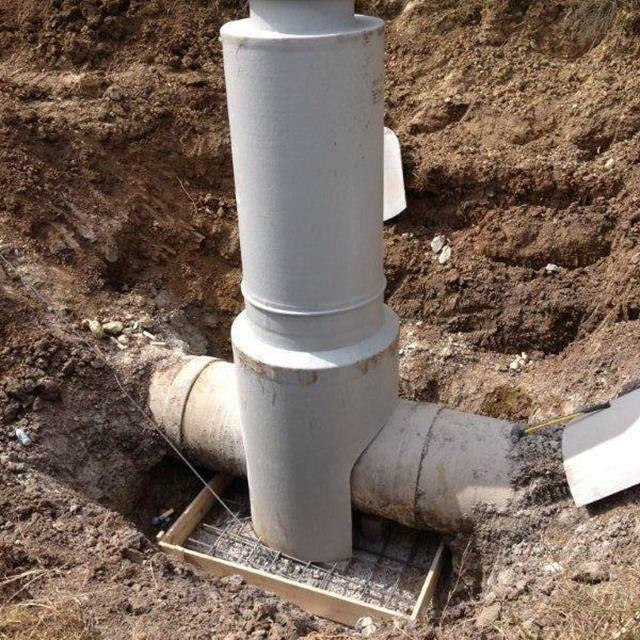 This manhole design requires a concrete base, bench, and flow channel to be formed-in-place on the jobsite. 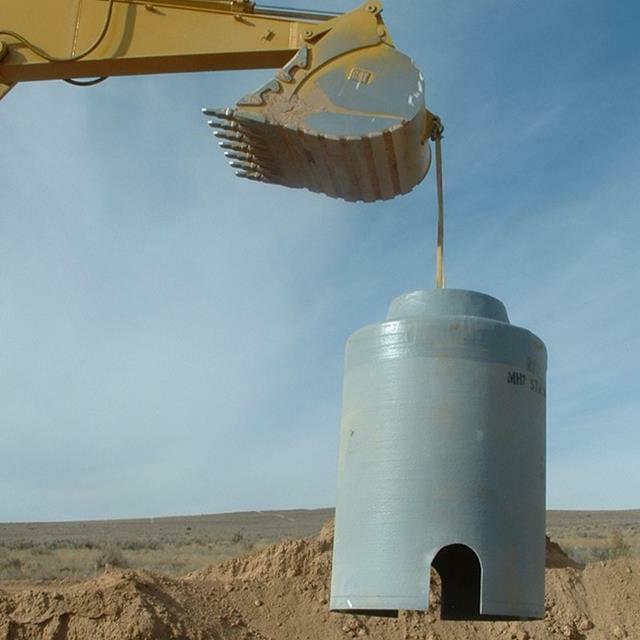 Usually, open-bottom manholes are installed using a “dog-house” installation method where U-shaped cut-outs are made at the manhole base to facilitate pipe penetrations. With few exceptions, open-bottom manholes arrive on the jobsite as monolithic structures from top to bottom. 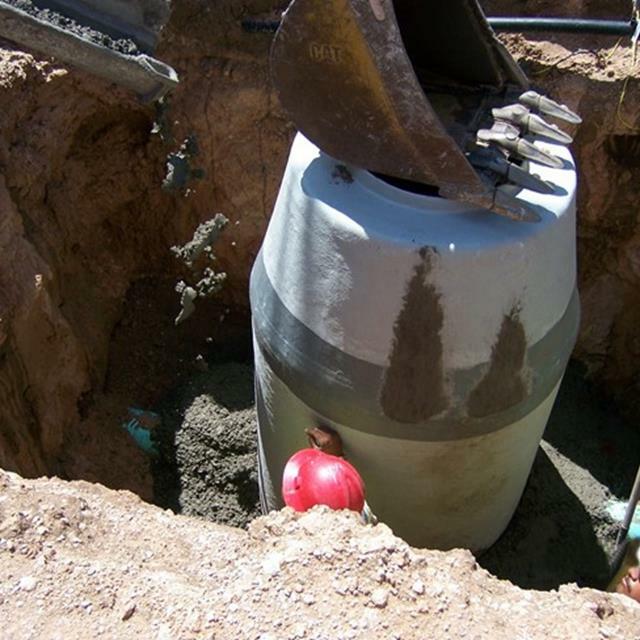 Prior to pouring the concrete base, holes are drilled through the fiberglass manhole near the bottom to accommodate a grid pattern of steel reinforcement. This steel reinforcement not only provides a structural benefit to the concrete base, but also anchors the fiberglass manhole to the base. 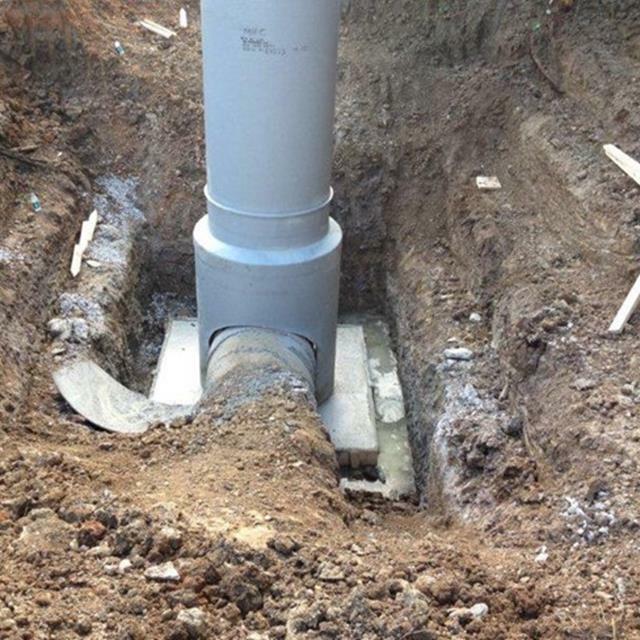 Typically, the manhole will be placed on cinder blocks at the proper elevation and concrete will be poured underneath and around the manhole and over the pipe penetrations. Care is taken to tightly pack the concrete against the manhole and pipe to prevent infiltration of groundwater. 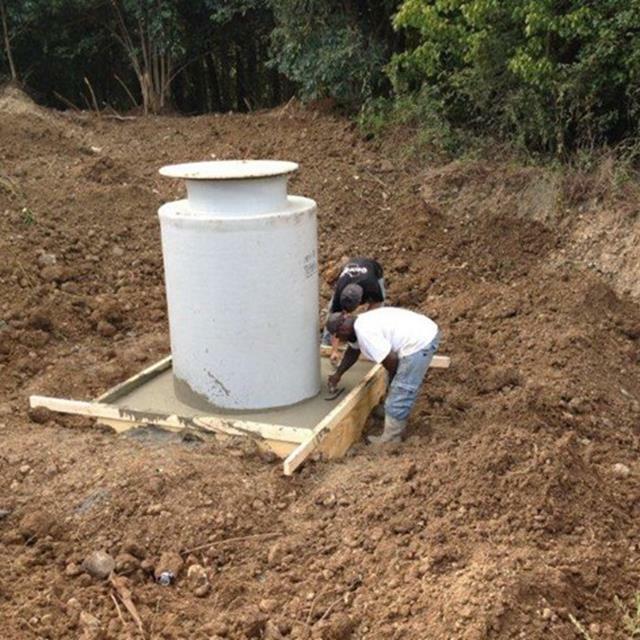 The poured-in-place concrete bottom performs two functions, providing both a base and ballast for the manhole. 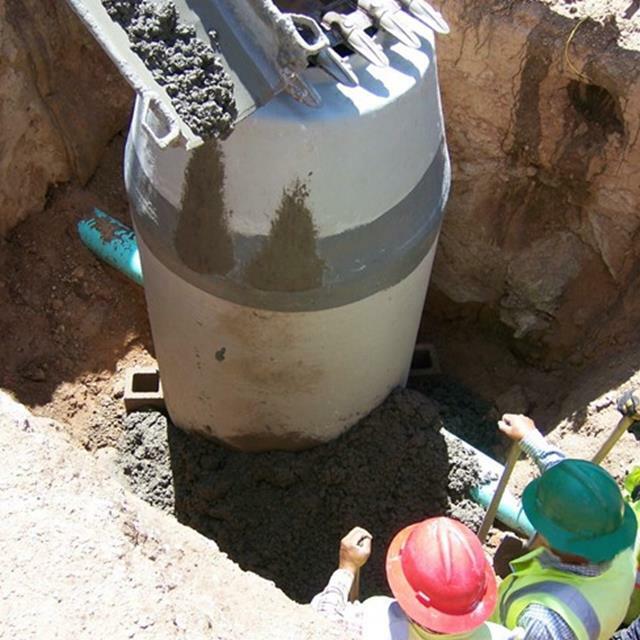 Due to the lightweight construction of fiberglass manholes, concrete ballast is required to prevent buoyancy or uplift where groundwater is present. The quantity of concrete required to prevent buoyancy or uplift is dependent on a variety of factors. 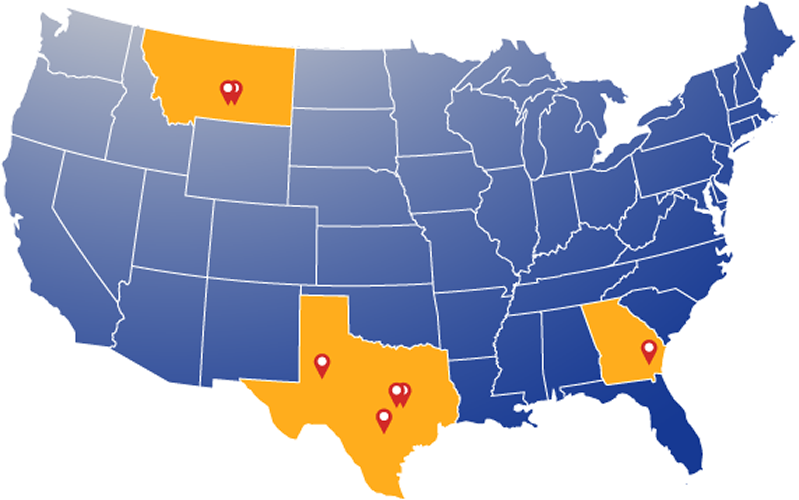 As the typical construction method is a “dog house” configuration, pre-fabricated connections are rarely used, and concrete or hydraulic cement is simply packed tightly around the pipe penetrations. Often, a water-stop gasket is placed at the pipe penetration to provide an additional sealing mechanism. 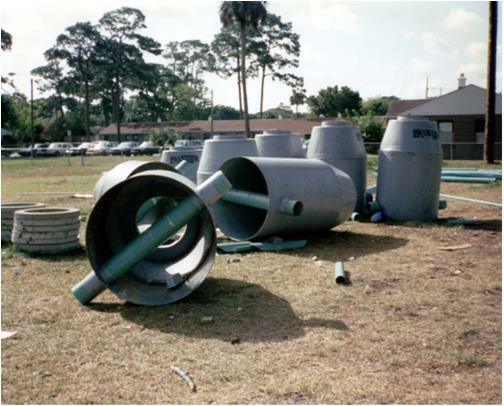 If a pre-fabricated pipe connection is required, options include fiberglass laminated pipe stub-outs, flexible rubber boots (e.g., Kor-N-Seal©), segmented rubber seals (e.g., LinkSeal©), and flanges. 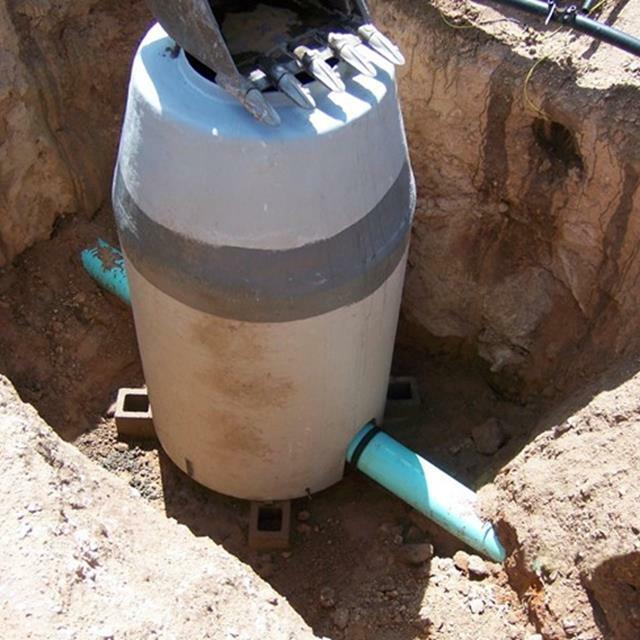 Field-installed pipe connections (Inserta-Tee©, or similar) are also an option. 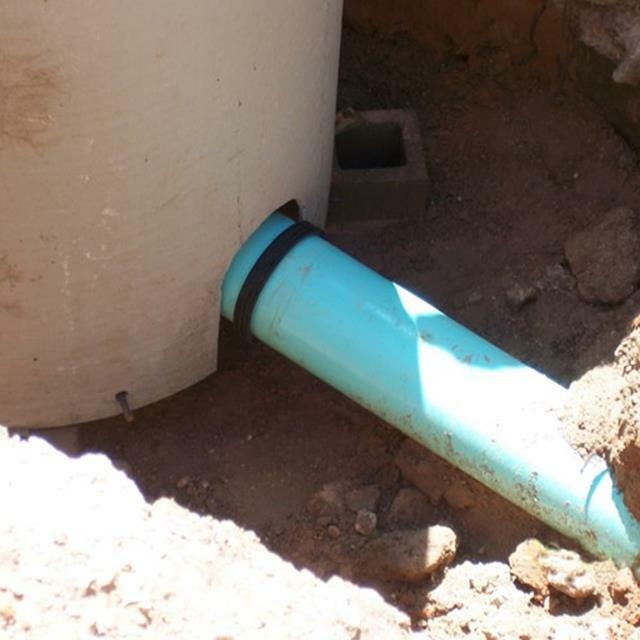 External drops are typically field-installed with an external PVC pipe stub fitted using a hub connection (e.g., Inserta-Tee©) at the desired elevation. 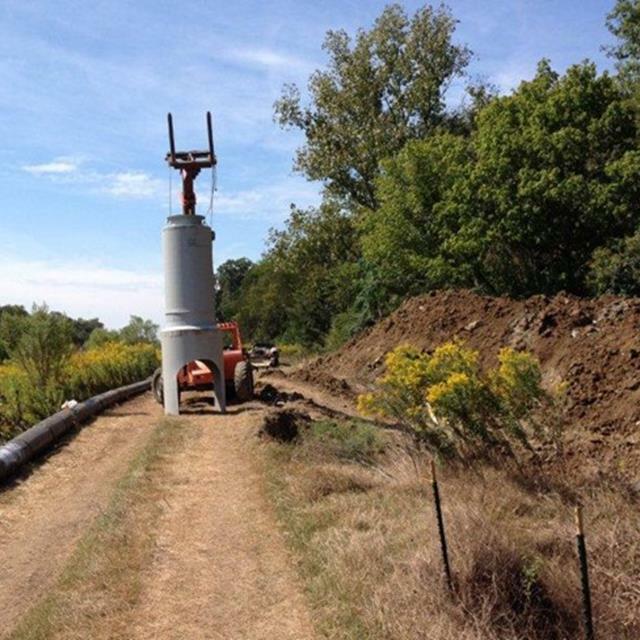 The external drop is then assembled and connected in the field by the installer. The manway opening at the top of the manhole is available in a wide variety of sizes and shapes, but is typically a round opening between 22.5” and 36” in diameter. Where a bolt-down ring and cover casting is desired, threaded studs may be added during manufacturing or installed in the field. The manway opening typically incorporates a 3” tall neck to prevent lateral shifting of grade adjustment rings or the ring & cover casting after installation. The cone section is available as a concentric or eccentric design. A concentric cone is more popular and the most economical; however, an eccentric cone offers easier access to internal steps and provides for a tri-pod descent onto the bench area.